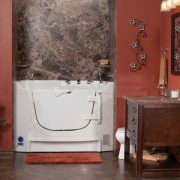 A walk in tub from Ideal Baths is a safe, attractive, and easy-to-maintain alternative to traditional bathtubs. 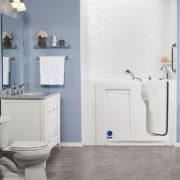 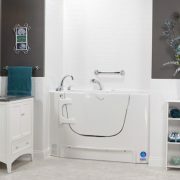 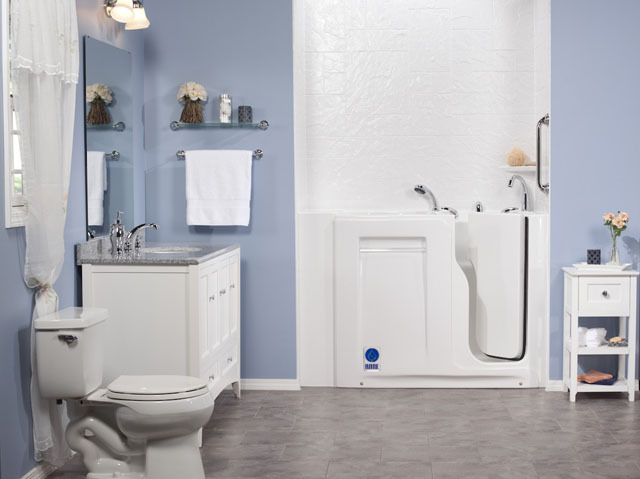 Regardless of whether you need a walk in tub to accommodate a special needs individual or you’re just looking for a new tub that’s a little easier to get into and out of, our walk in tub options are a great choice. At Ideal Baths, we take great pride in offering tubs and showers that are both beautiful and practical. 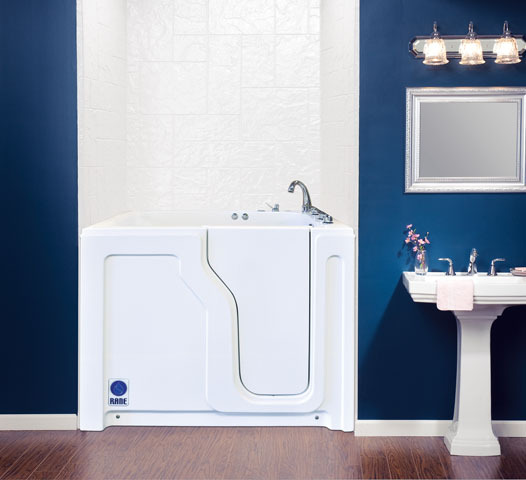 Each walk in bathtub we offer is made from durable materials and many of our tubs are available in extremely resilient, nonporous acrylic. 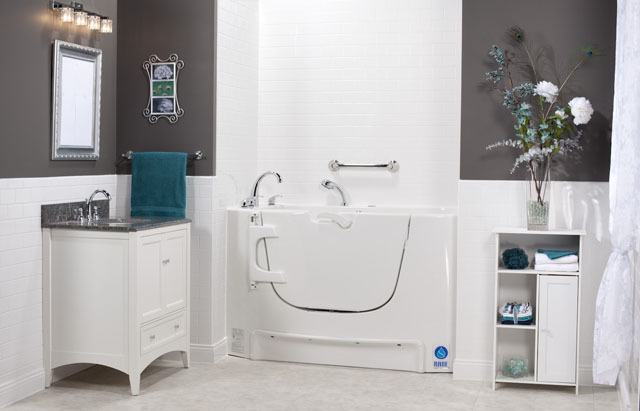 Unlike traditional bathtubs that can become worn, cracked, or stained with time, our beautiful acrylic is guaranteed to retain its like-new appearance for years to come. 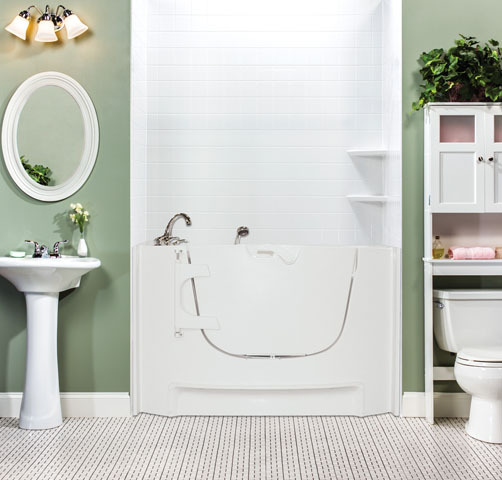 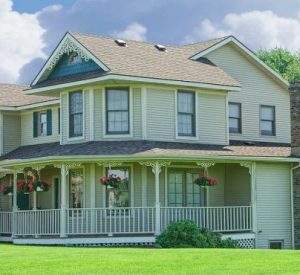 We are also pleased to offer our tubs in a variety of different sizes, so no matter how big or small of a bathtub you require, we are sure to meet your needs. 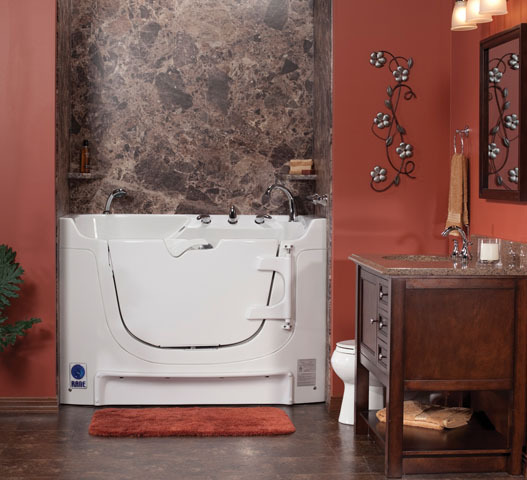 Furthermore, a walk in tub from Ideal Baths comes with a number of safety benefits. 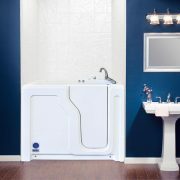 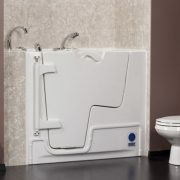 Most notably, since these tubs do not require a large step to enter or exit, there is less risk of falling in the tub or shower. 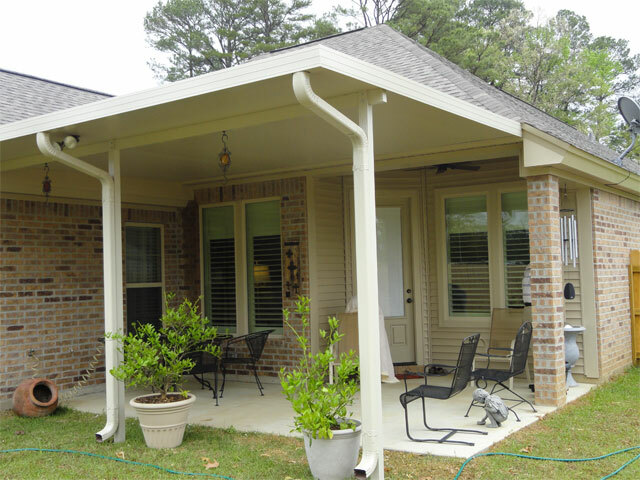 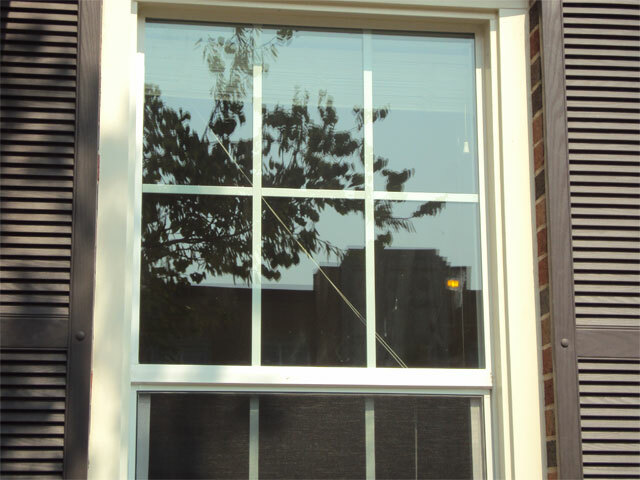 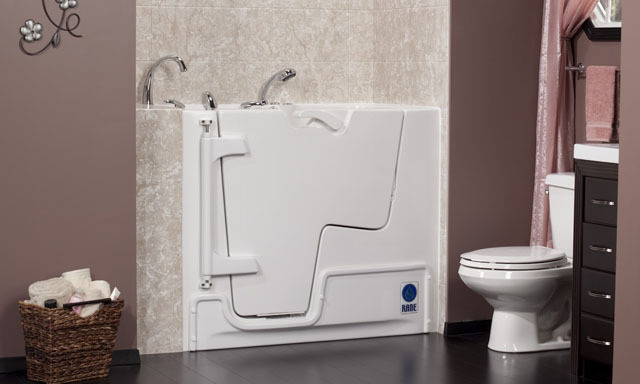 Our tubs also come standard with a variety of safety features such as hand rails, seats, and slip-resistant flooring.